Safari Bookings has just named Botswana the number one safari destination in Africa! Through an analysis of reviews, ratings, and statistics, it is revealed that 2018’s best overall safari spot is beautiful Botswana. Tanzania was a hair’s breadth away from first place, and it remains the best destination for wildlife viewing, but Botswana’s diverse landscape, variety of habitats, incredible birding, and wealth of unique wildlife are what gave it this prestigious title. And we are behind the decision one hundred percent! In celebration of this amazing country, we want to show off some of her most beautiful and unique assets, so that there is no wondering why Botswana is recognised as this year’s most superior spot for African wildlife and nature-based travel. Starting with the great big semi-arid desert that takes up the majority of the country: the Kalahari is a seasonal dessert that transforms from a waterless hinterland to a thriving, green oasis in the summer rain. It gets bitterly cold at night in winter, and blisteringly hot in summer. The stars are nothing short of magical, and the wildlife is abundant, especially in summer when the baby antelope are born. 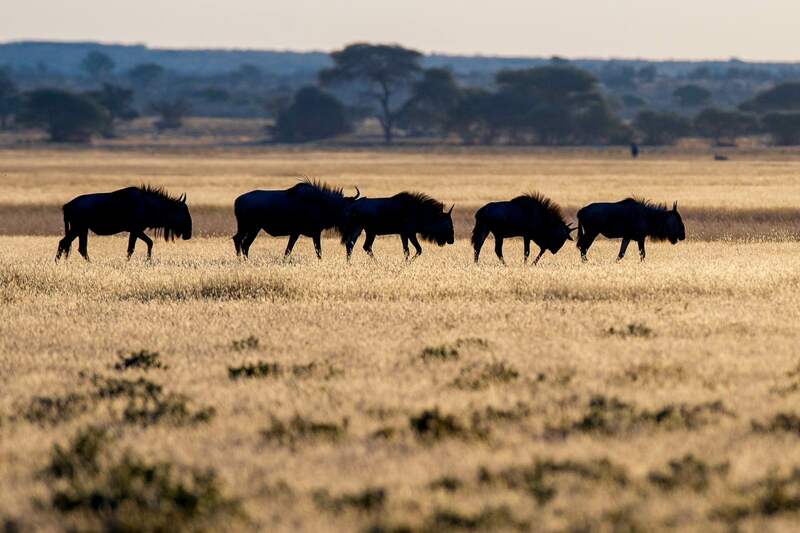 Here is where you can see black-maned lion, gemsbok, cheetah, springbok, ostrich, bat-eared fox, pale-chanting goshawk, sociable weavers, brown hyena, and weird and wonderful plant life. 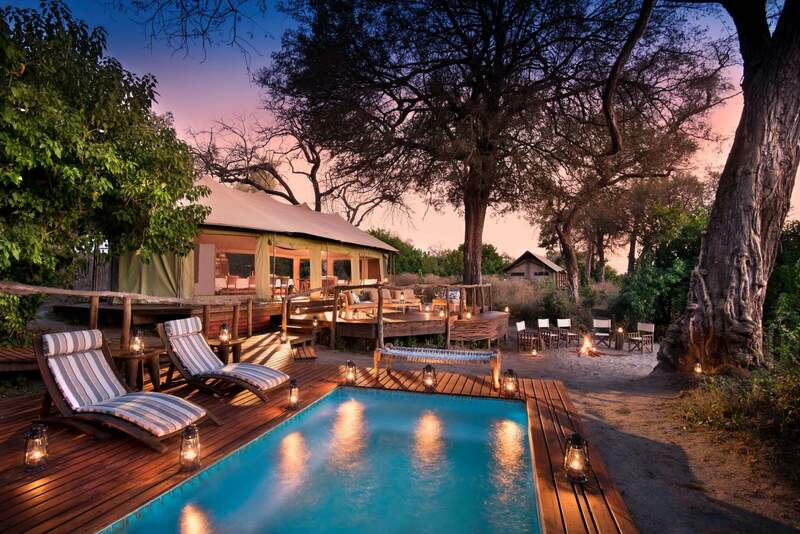 One of our top choices for a Kalahari stay is Tau Pan in the Central Kalahari Game Reserve. The transformation from silver grassland to the green oasis is astounding, and the views from the lodge are purely spectacular. 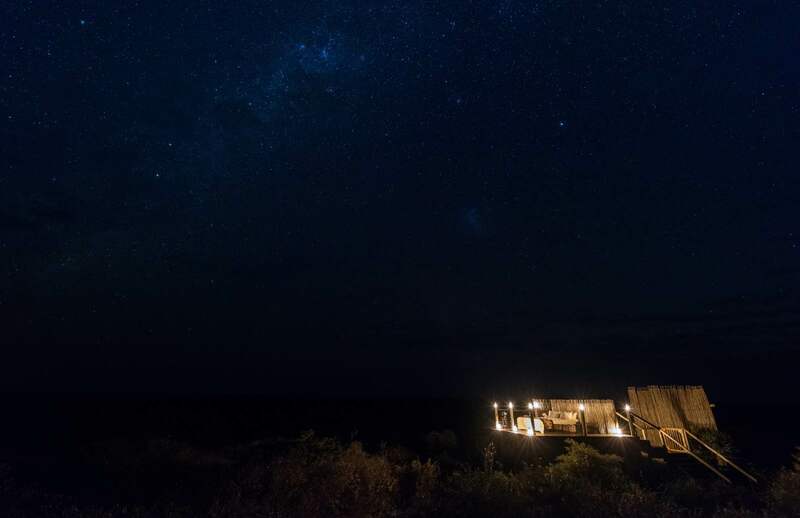 Stargazing guided walks with the Bushman, predator-filled game drives, and total relaxation in the wide-open wilderness. The Kalahari gives us an unapologetic show of just how contrasting the seasons can be, demonstrating the dehydration of winter, cracked clay pans, dried skeletal remains of animals that couldn’t withstand the drought. Then it bursts into life and sprinkles dew drops of fresh blossoms, feeding every creature with renewed goodness presented by the rain. Perhaps most fascinating of all is the fact this is where Africa’s first people lived and thrived for thousands of years until very recently, following in their ancestors’ resilient footsteps. 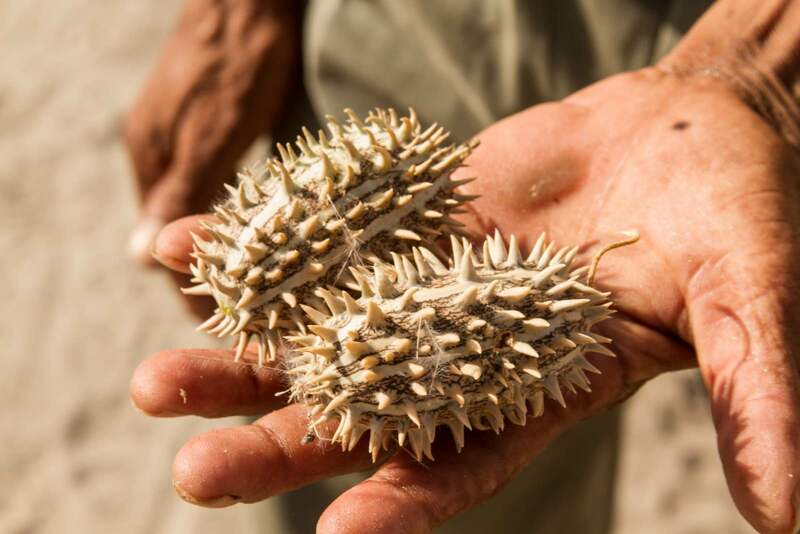 The San Bushman know the Kalahari as well as every indigenous animal, and the beauty of a desert safari here is the opportunity to walk with the San and learn how they survived in one of the harshest environments on the planet. 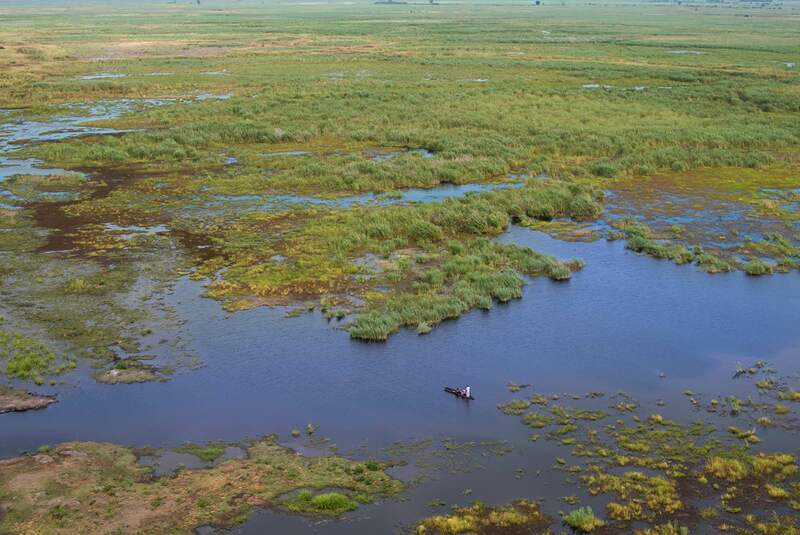 The Okavango Delta, lifeblood of the Kalahari, panning out into the northern reaches of the desert and feeding it with nutrients and sustaining great populations of wetland and savannah species alike. Long acknowledged as one of the most precious and pristine natural areas on the planet, it was declared as a UNESCO World Heritage Site in 2014. Over two million hectares of protected land that remains largely unchanged from its natural state. This alluvial pan is full of permanent swamps and seasonally flooded grassland, and the indigenous wildlife and plant life have adapted to its drastic seasonal changes. This is the place for buffalo, lion, elephant, red lechwe, water birds in abundance, zebra, wild dogs, giraffe, hippo, and crocodile. Cruising through the channels on a traditional dug-out canoe, and walking for hours on the islands are the most authentic ways to explore this part of the country. 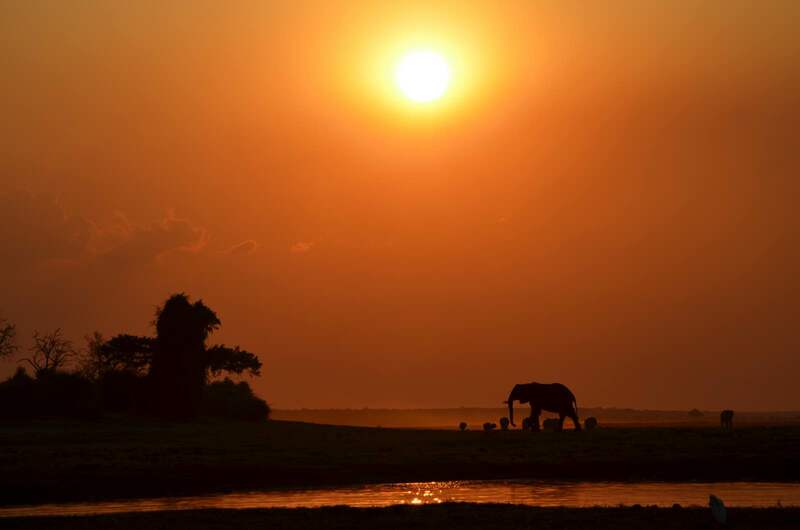 The Delta incorporates the Moremi Game Reserve, which is where arguably the best game viewing in the country takes place. The diverse combination of dry and wetland species is a testament to the nutrient-rich condition of the land – a true natural wonder. 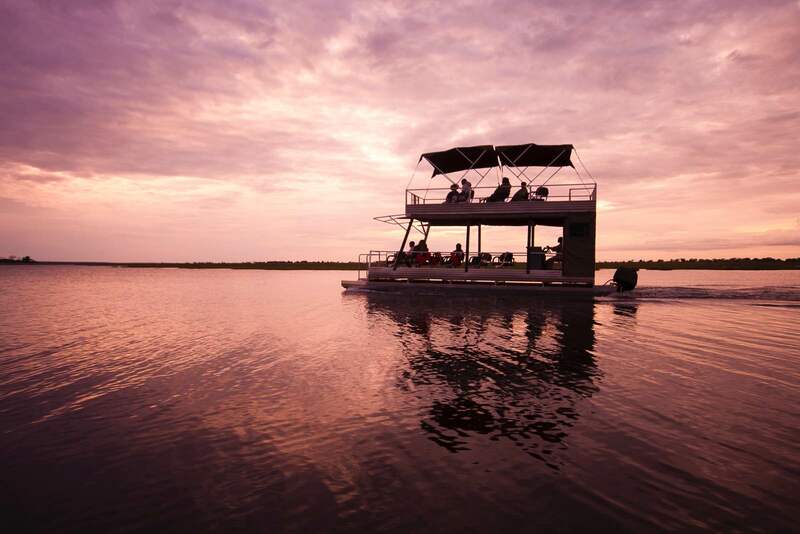 Delta accommodation depends on whether you’re looking for a water-based safari experience (highly recommended), as certain lodges are in a position to receive only flood waters, while others are on islands in the heart of the Delta and have year-round water. Check with our agents about which lodges are surrounded by water year-round, and which offer dry land safari activities. 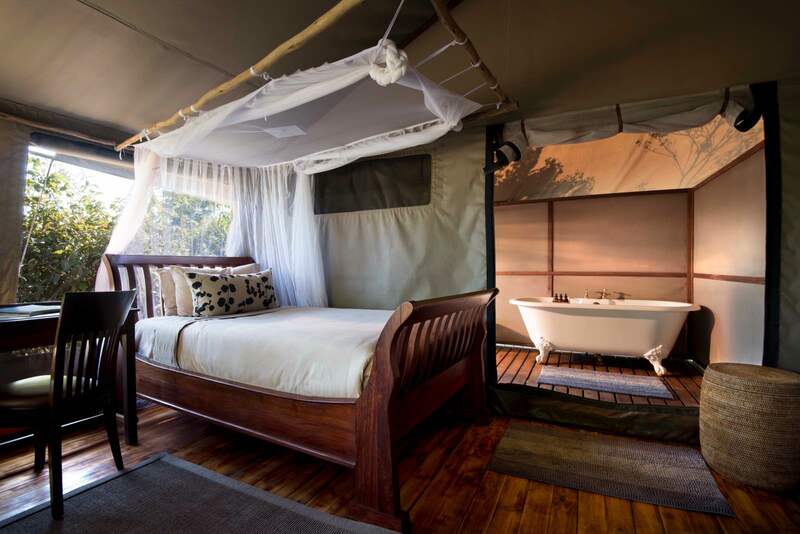 One of our favourites is Tubu Tree Camp, which is located on the isolated Hunda Island, accessing a variety of habitats and thus excellent game viewing. Activities include day and night game drives, and boating, seasonal fishing and mokoro trips during winter (generally May to late September). Chobe is Botswana’s flagship national park, at over 10 000 square kilometres in size and it is best known for its presence of elephants. It is said that Chobe has the highest density of elephants in the world, and if you’ve been there, you might believe it. 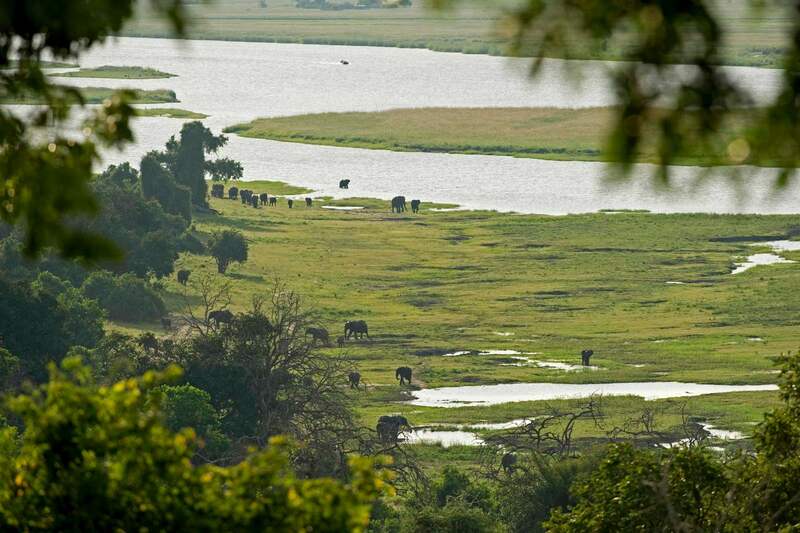 The Chobe River is engorged with hippo and crocodile, relishing in the abundance of water and good food sources. This is where boat cruise safaris dominate the safari world, where elephants are seen swimming by the herd across the river, and where buffalo, kudu, waterbuck, and many others flock to drink. African skimmers sweep down to the water’s surface in a spectacular show of their unique feeding behaviour, and bee-eaters triple in numbers when summer brings the migrant species to the river. Our pick for Chobe Riverfront? Chobe Chilwero. This lodge is positioned away from the crowds and looks down onto the river and all its wondering inhabitants from a height, between the trees, and with excellent views. Extra perks include the split-level swimming pool and the full-service spa complete with a treetop treatment room. 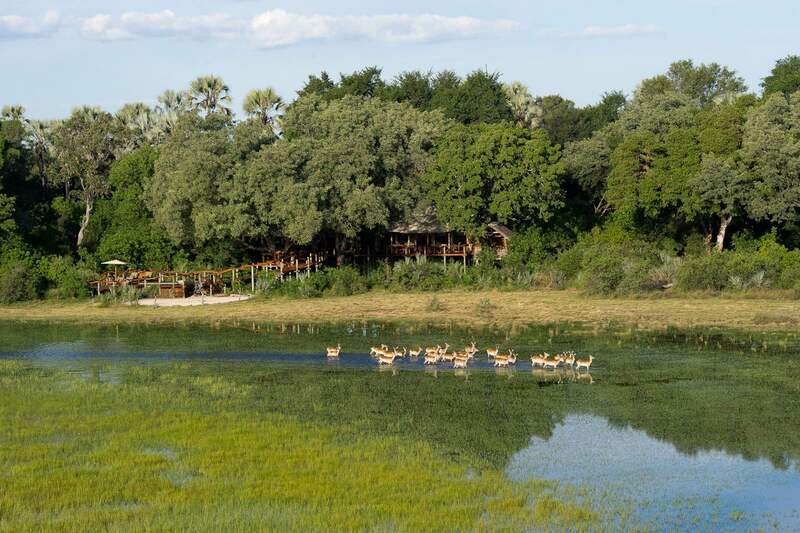 The mysterious Savuti Marsh is located in the northwestern region of Chobe where it exists in endless unpredictability. 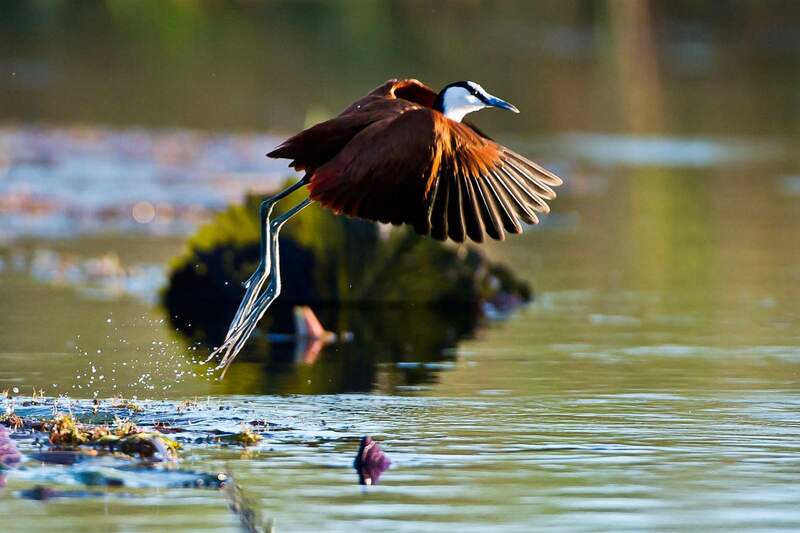 The marsh itself is a vast grassland basin fed by the Savuti Channel that fills with seasonal water and attracts the greatest concentration of game in Southern Africa. The problem is, the Savuti Channel can go for decades without an inch of water, which means the marsh stays dry. The animal behaviour of the area famously reflects this random flooding, and at one stage, it was where mega prides of lion brought down elephants in the dead of night. Today, it is predator paradise; one of the best places to see leopard and wild dog, and to watch gregarious gatherings of zebra, wildebeest, giraffe, and elephant at the waterholes. Linyanti is the third area of Chobe that stands out as spectacular, but it is less travelled, off the beaten track, and not necessarily the place that contributed to Botswana’s status as safari destination number one! We, however, love Linyanti. 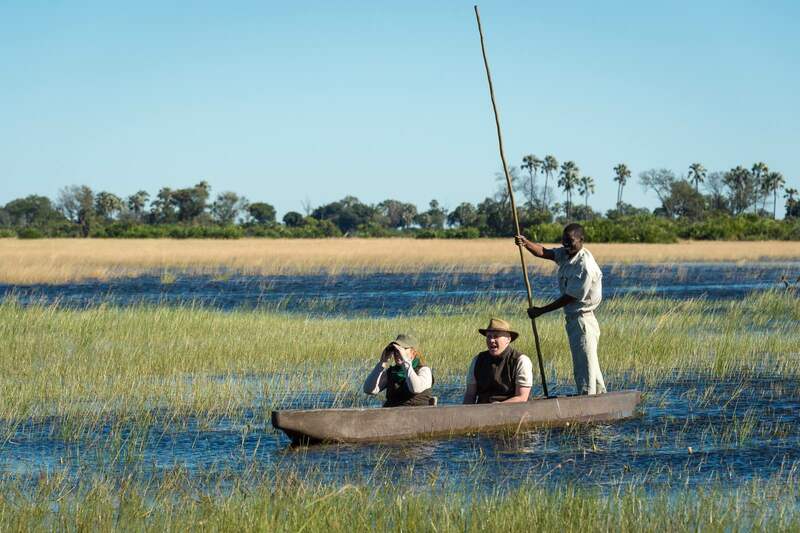 in the northwestern corner of Chobe, up against the border with Namibia’s Caprivi Strip, the Linyanti marsh is a place full of watery lagoons, forests of tall trees, eerie silence, and natural abundance. 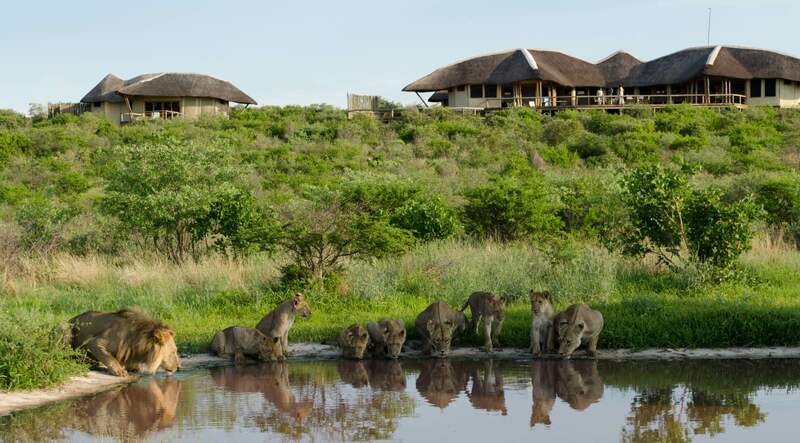 Here, you chance seeing the secretive sitatunga, hearing baboons shriek at stalking leopards in the shadows, watching elephants storm through the water at panting lions recovering from a feast on the riverbank. It is a place of wondrous bird presence, and precious, unexpected wilderness beauty. Top spot in Linyanti? Linyanti Ebony Camp. 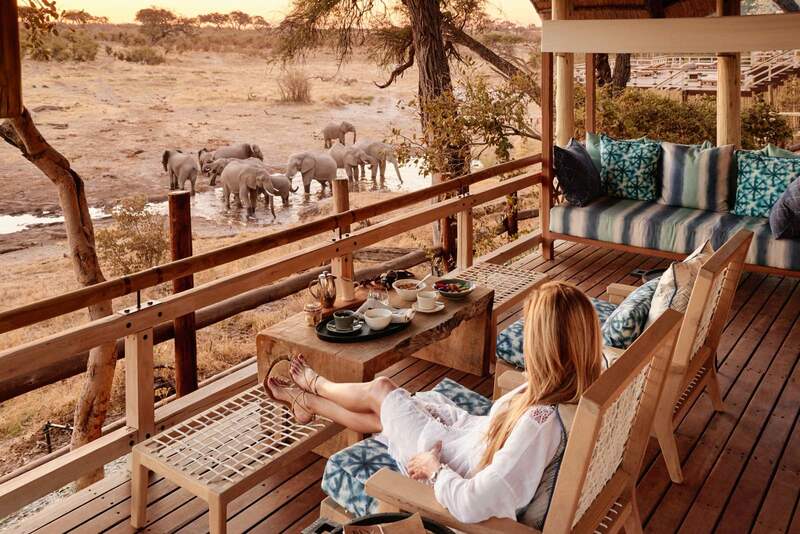 This family-friendly camp occupies a private area of Chobe Enclave, where Botswana’s greatest population of elephants is known to gather during the dry season when the Linyanti is the only source of permanent water. The simple design of Linyanti Ebony is complemented exceptionally well by crafty pieces of furniture and decor, coming together to create the luxurious feel of the old-fashioned explorer era. Botswana’s best wildlife destinations can be experienced as rustically or as comfortably as you would like. 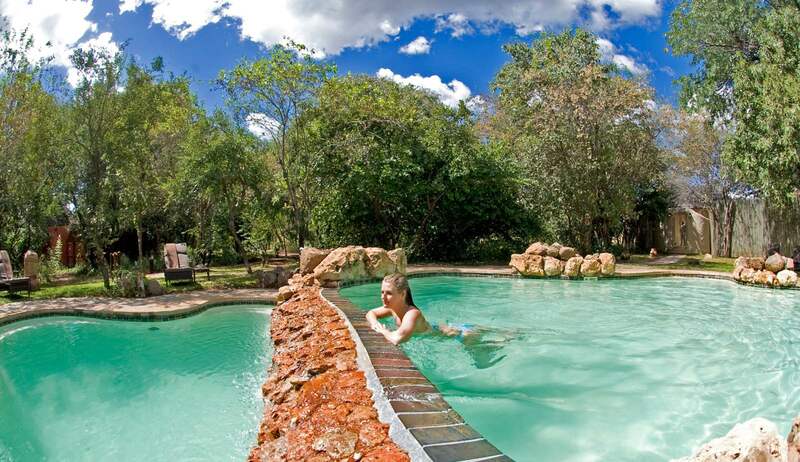 Self-driven camping safaris are hugely accessible and a popular form of travel in the country. Campsites are basic and beautiful, and while you might not be able to buy ice all year round, you are guaranteed a fire pit, and a slice of wild, African heaven to set your tent up in. If you’re opting for luxury or luxury on top of luxury, you’ll find exactly what you’re looking for too. 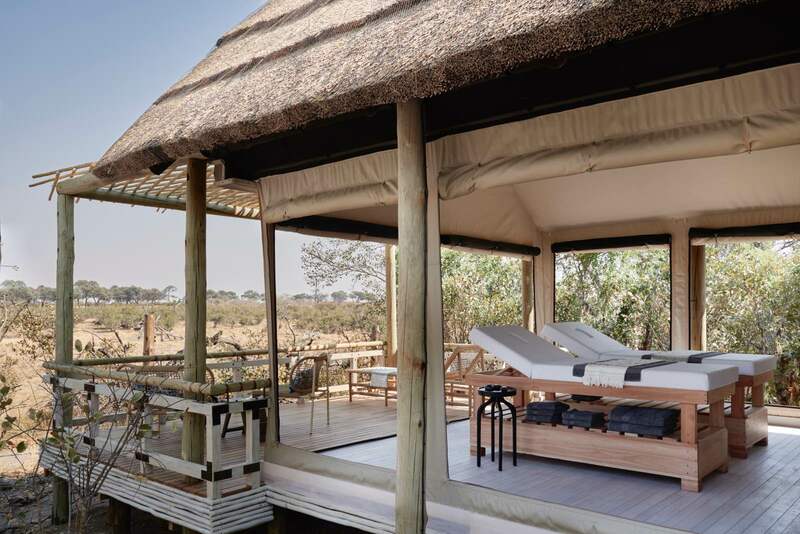 Botswana is a leader in eco-friendly, deluxe accommodations, and you’ll be able to find a place that oozes sophisticated glamour, but has been crafted embrace the natural environment like a long lost friend. These places come with a price, but if you’ve got the budget for it, you will not be disappointed. 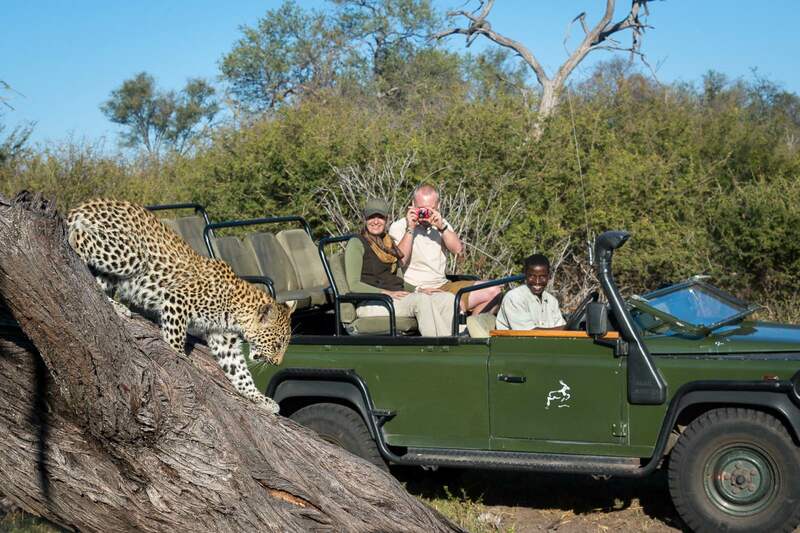 Where self-drivers might enjoy the view from the ground, there is every option for fly-in access to remote places of the Delta, Savuti, and the Kalahari, so the options for creating the ultimate the perfect Botswana safari are endless. Thinking about a trip to Botswana? 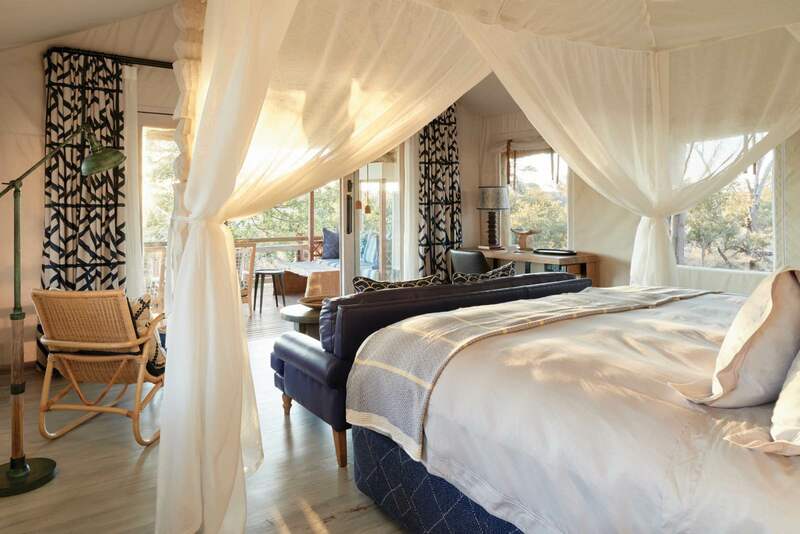 We have a handy list of the top 10 accommodations in the country as recommended by our safari experts – here.